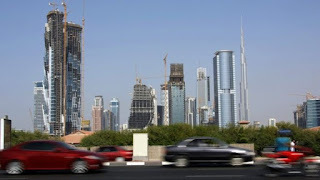 According to Sultan Abdullah al-Marzouqi, the head of the Vehicle Licensing Department at Dubai's Roads and Transport Authority (RTA), the plates will make life easier for drivers in Dubai. Payment for fines, parking fees or renewing registration plates will be automatically deducted from users' accounts. Number plates can also be changed using the RTA's app or website.